In the Fall, nature provides many plants to help move our lymph system to give them a final flush before winter. Spices such as cinnamon, cardamom, and ginger are excellent for moving the body's waste through the lymph and out. Pair this spice blend with a few seasonal foods like apples and butternut squash, and you have warming dishes that nourish your body for the colder weather from the inside out! Butternut squash is high in potassium and fiber to support the digestive system, as well as Vitamin A, C, and manganese. Did I mention it is low in calories too? Bonus! Apples are another great food of the season. Procyanidins in apples help move the lymph system and work to prevent immune disorders. Double bonus! 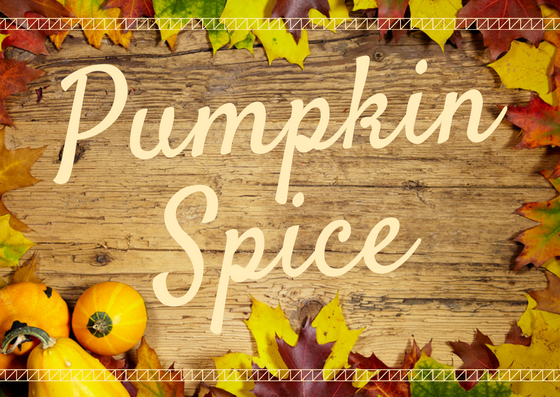 Look for an organic Pumpkin Spice blend at your local grocery or health food store. Add the other ingredients for these 3 easy recipes to your cart and you will have a few dishes that spotlight the spice blend and superfoods of the season. Set your slow cooker to High for 3 hours and 30 minutes. Add the ghee to the slow cooker for about 15 minutes to melt it. Cut, seed, peel, and dice the butternut squash. Once the ghee is liquid, add the squash, pumpkin spice, and maple syrup to the cooker. Mix until all the squash is evenly coated. Put on the lid and cook for 3 hours on high. Serve as a warm & nourishing side with dinner or put on oatmeal for a breakfast boost. Once your cashews have been soaked and are soft, drain the water. Add the soaked cashews, pumpkin, maple syrup, and pumpkin spice to a high power blender or food processor and blend until smooth. Use this as a yummy dip for apples, spread on a sprouted grain English Muffin, add a few spoonfuls into your morning grain or oatmeal bowl, or use it in the Pumpkin Spice Apple Crisp. Preheat oven to 350 deg F. Peel, core, and dice apples. Immediately mix the diced apples in a large bowl with the Pumpkin Spice Creamy Cashew spread. Mix until coated. Grease an 8x8 pan with coconut oil and add the apple mixture. In another bowl, combine the brown sugar, oats, coconut flour, nutmeg, cinnamon, and coconut oil. Use 2 forks or your hands to incorporate the coconut oil into the oat mixture. Then add in the pecans, stir, and top the mixture on the apples. Bake for 35-40 minutes until the topping is golden brown and the sides are bubbling. Serve warm. Andrea Hop has followed her passion to pursue knowledge and understanding of how the right choices in life can nourish both the human body and soul. Andrea has a Bachelor's in Psychology/Special Education and a Master's in Learning Disabilities, both acquired through Grand Valley State University, and she enjoyed working as a high school support teacher.Following her passions in health, she chose to attend the Institute in Integrative Nutrition and received her Integrative Nutrition Health Coach certification. In health coaching, her goal is to guide clients to focus to improve all aspects of wellness: using goal-setting, accountability, and simple changes that can lead to profound and lasting effects on quality of life and health.